This last weekend I dropped into Bismarck to catch up with my folks, to do a bit of research, and to take in a bit of the WE Rise event with Molly McLain, Karis Thompson and others at the state capitol. The luncheon for the WE Rise gathering was also held in the Great Hall at the capitol. 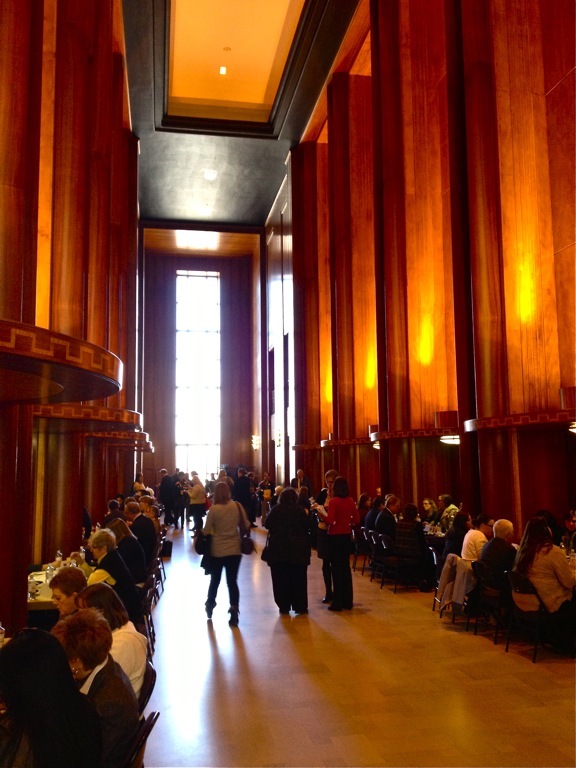 The Great Hall is, unsurprisingly, a really great room, with tremendous verticality. At least this is the perception I had, having grown up on the Great Plains which is more horizontal than vertical. 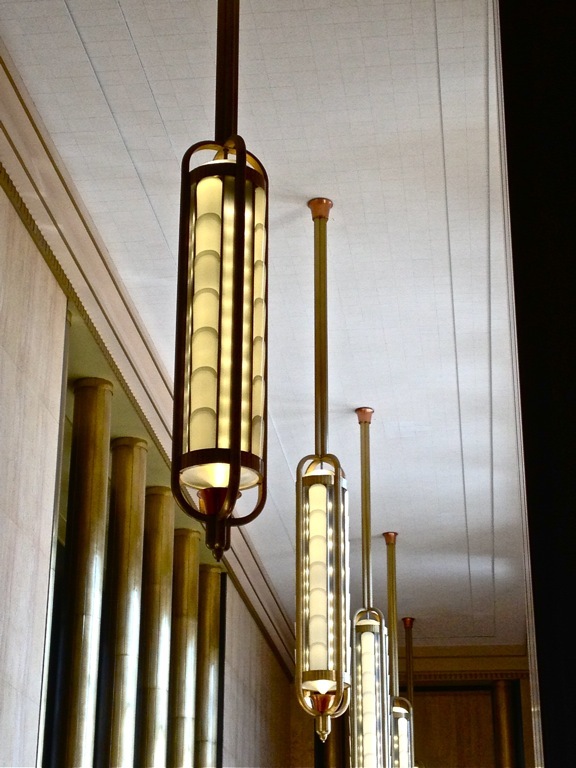 The Art Deco aesthetics (from 1925 and on) also reminded me of the 21st century Steampunk movement. Below are a couple photos of the Great Hall from March 11, 2013. The Great Hall of the North Dakota capitol in Bismarck. Photo looking west. 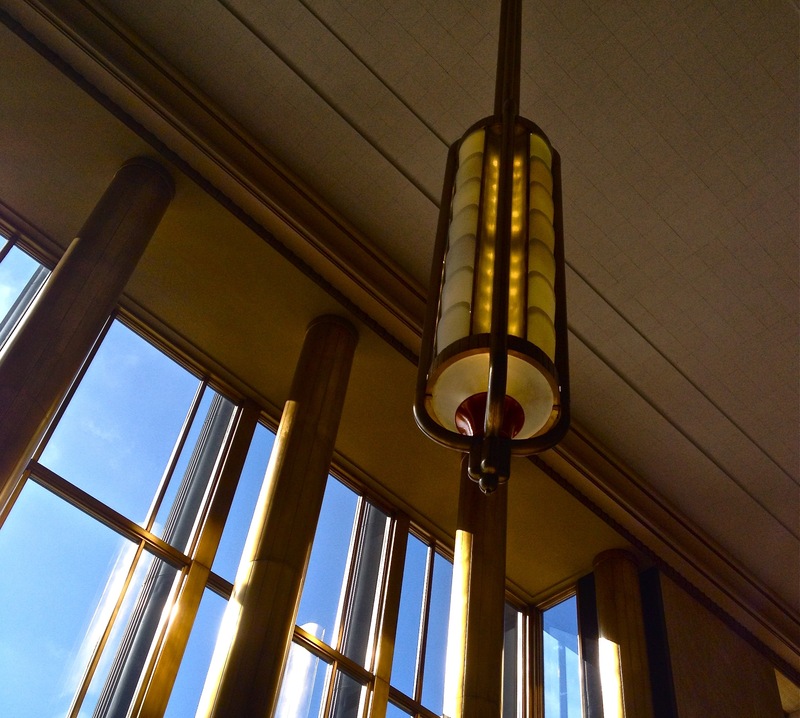 The Art Deco chandeliers in the Great Hall of the capitol in North Dakota. This is an aesthetic and style that has been appropriated by the 21st century Steampunk movement. A chandelier close up in the Great Hall. This entry was posted on Wednesday, March 13th, 2013 at 8:54 am	and tagged with Bismarck, North Dakota and posted in Uncategorized. You can follow any responses to this entry through the RSS 2.0 feed.